Betting exchanges are a hard industry to crack. To prove that, there are only four competitors in the marketplace. Betfair, Smarkets, Betdaq and Matchbook. All have their own benefits and drawbacks. In this Matchbook review, we’ll cover the key areas to consider when choosing a betting exchange and find out whether they are a good option for matched betting. Matchbook was founded back in 2004 by a group of professional sports bettors and investors. Much like Betfair, they had one goal; to remove the need for traditional bookmakers. Over the years, Matchbook have struggled to remain competitive in what is an incredibly challenging industry, dominated by one giant company; Betfair. Betfair have maintained over 90% market share in the time they’ve been running. In 2011 Matchbook sold out to TripleBet Ltd as they struggled to stay afloat. Having said that, Matchbook are still one of the most popular betting exchanges in the industry. They offer a brilliant commission rate and an incredibly easy to use website. Both of these features set Matchbook apart in the betting exchange world. A betting exchange is a peer to peer marketplace where punters with differing opinions on the outcome of an event are matched together. At a betting exchange, you can place two kinds of bet. A back bet and a lay bet. A back bet is the most common bet type and it’s what you’d place if you went to your local high-street betting store. For example I might back Andy Murray to beat Roger Federer. This is a back bet as I’m backing Andy Murray to win. A lay bet is just the opposite. Using the same example above, I’d now bet that Andy Murray would not beat Roger Federer. It’s the same as betting an outcome will not happen. You can only place this kind of bet at a betting exchange. Created in 2000 by Betfair, betting exchanges are a relatively new phenomenon in the betting industry. However, they’ve had a huge impact on the industry and they’re arguably the driving force behind the boom in the online betting sector. There are many aspects that make a great betting exchange. In the next section we’ll have a look at some of the most important ones and find out how Matchbook compares to its competitors. The sports betting industry is built around markets. Without any markets there would be nothing to bet on. This is therefore a key area to look into when choosing the best betting exchange for your needs. Matchbook offer a great range of markets. Whilst they’re not quite on par with Betfair, there are still plenty to choose from when placing our matched bets. Here’s a list of some of their markets: Soccer, Tennis, Boxing, Cricket, Rugby, American Football, Basketball, Baseball, Ice Hockey, Mixed Martial Arts, Esports and political markets. Most, if not all pre-match markets transfer into in-play markets meaning you can carry on placing your matched bets as the game is played out. This also allows us to profit from in-play matched betting offers handed out by some bookies. Markets could not exist if there was no value or price assigned to each one. That’s where odds come in. Equally as important as markets, odds are another key part of any betting firm. With technology the way it is today, odds across most betting companies are very similar. Companies can easily check on their competitors and alter their prices appropriately. In general, this creates a fairly level playing field. Betting exchanges usually have slightly higher odds than traditional bookies as they offer the true market price. Markets at a betting exchange are driven by the customers where as a bookie sets their own odds, building in their own profit margin. Below are the odds for a Premier League football game between Swansea City and Liverpool. First up are the Matchbook odds, followed by Smarkets. You can see that the odds between the two betting firms are fairly similar. Smarkets has slightly higher odds in some markets and Matchbook do in others. As we mentioned earlier in the article, Matchbook offer an industry leading commission rate of just 1.5%. 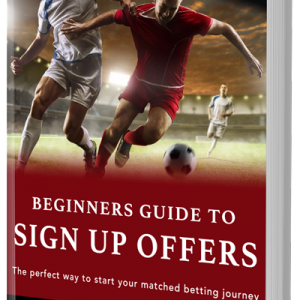 This is brilliant for matched betting. Over a year, we place a lot of bets at the betting exchange. The commission we pay will therefore have a big effect on how much profit we make using no risk matched betting. There is one slight drawback with Matchbook’s commission structure. We’re charged 1.5% whether our bet wins or not. At the other big three betting exchanges we’re only charged a commission on winnings. Whilst this will not have a huge impact on our matched betting profitability, there is a catch to Matchbook’s seemingly brilliant commission structure. Liquidity shows the amount of money waiting to be matched for a certain market. For a bet to be matched at a betting exchange, you need at least two punters. One betting for an outcome and one betting against that same outcome. If a market has zero liquidity, you cannot place either a back or lay bet. The liquidity of a market is shown right underneath the market price (odds), see below. In this example, the liquidity is £1,673. Liquidity is where the smaller betting exchanges, which have continually struggled for market share, can’t compete with Betfair. In fairness, Matchbook’s liquidity for larger, more popular events is adequate for our matched betting purposes. However, I would advise against placing bets with Matchbook on less popular markets, where the liquidity is considerably lower. That’s when you should head over to Betfair. Matchbook say they’re focusing on building their liquidity on existing markets before they increase the number of markets available. As with most betting companies in the modern world of gambling, technology is clearly at the forefront of Matchbook’s agenda. Having been in the industry for nearly 15 years, they’ve developed an incredibly fast platform (which we’ll come onto later) which makes placing bets effortless. Matchbook are constantly striving to innovate and enhance their product in the hope of increasing their market share. From my experience and from what I’ve heard from other Matchbook customers, they provide a brilliant support network. There are a number of ways you can get in touch with Matchbook including email, live chat, telephone and post. Visit their contact us page for more information. In the bonus culture of the modern gambling industry, every betting firm must offer some kind of free bet or promotion to draw customers in. So what do Matchbook offer and is it worth completing? At the time of writing, Matchbook offer a £500 commission refund in your first 5 weeks as a customer. It’s fair to say, you’ll need to place quite a few bets to take advantage of this offer! Every £100 you win or lose (or combination of wins and losses) Matchbook will count as £1 paid in commission. Once you’ve paid £5 in commission, your account will be credited with £5. To take full advantage of this offer you’ll need to have settled bets worth a crazy £50,000 in just 5 weeks. I place a lot of matched bets, but that is not doable. In my opinion I would give this offer a miss. Matchbook offer a number of payment methods for you to fund your account with. They accept credit and debit cards, Neteller, Skrill and bank transfer. None of these deposit methods have a fee and all have a minimum deposit amount of £5, except Neteller which is £10. In terms of withdrawals, Matchbook operate a ‘closed loop policy’. This basically means you must withdraw your funds using the same payment method you deposited them with. This is becoming quite a popular security feature for online betting companies so keep an eye out. Having just said that, for some reason, Mastercard do not allow Matchbook to return funds to their cards. There is specific information available on the Matchbook website regarding this issue. Simply put, Matchbook allow you to use alternative methods to withdraw your funds. This is another important consideration when it comes to picking the best betting exchange. This is crucial, especially for matched betting. The last thing matched bettors want, is to find out one of our lay bets didn’t place. This could lead to unnecessary, costly mistakes. Matchbook hold up very well in this regard. They wouldn’t be in the top four betting exchanges if they had any issues with reliability. Though I’ve not used Matchbook as much as other betting exchanges, it’s fair to say I’ve never had a problem in terms of reliability. In my opinion, Matchbook are probably the easiest betting exchange to use. They have an incredibly simple website layout which makes placing bets effortless and their mobile platforms feel no different. Matched bettors occasionally need to place bets quickly. Thankfully this is easy to do at Matchbook. Follow the process below and you’ll be in safe hands. If you’re happy with the odds, select the correct price. If you wish, you can create your own odds and hope someone matches it. Enter your stake and check the liability. Make sure you have enough money to cover the bet. Once you’re happy, hit place bet. Matchbook have gone for a simple, yet effective website design. Head to the homepage and you’re not bombarded with markets and sub-menus like you are at Betfair and other betting exchanges. Each section and link has been given plenty of space which helps the user no end. Perhaps Matchbook can achieve this due to fewer markets. Overall I like the simple style of the Matchbook website and I think it makes placing bets easier. With a comprehensive search function, this is all you need. I guess it comes down to personal preference. As with all serious online betting companies, it’s vital they consider how smaller devices will display their website. The mobile website and app function much the same and placing bets on each platform is very easy. This is great for us matched bettors. You’ll never miss out on an opportunity to profit from matched betting offers, even if you’re live at the game or race. All in all, Matchbook are a great betting exchange to consider using. They offer an industry leading commission of just 1.5%, they have an incredibly easy to use site and their liquidity isn’t too bad when it comes to popular events. Yes, we would. They’re definitely worth singing up to. However, we still think there are better alternatives out there in Smarkets and Betfair. It’s not that we don’t think Matchbook offer a good service, they do. It’s just others do it better. Why not check out our Smarkets and Betfair reviews and see how they compare. What do you think about Matchbook, are they worth signing up to? Let me know in the comments below.